After 30 years watching the NFL Draft, I still eagerly anticipate the three-day coverage unfold every year: The annual allocation of college prospects produces the best reality television. For the past eight months, I studied the college prospects and analyzed their athletic skills. Finally, all of the players have landed and it is time to assess their fantasy potential. In order to rank the freshmen and assess a grade, the skills of the player, the organization that drafted him and the offensive system all must be factored into the ratings and 2017 projections. Please wet your appetite by examining the tiers and statistical predictions for next season incorporating the aforementioned standards. If Jacksonville wants to win the AFC South, the Jaguars must limit quarterback Blake Bortles’ attempts and control the clock with a punishing ground game. With the fourth selection in the Draft, the Jaguars selected Leonard Fournette, who led the nation in rushing with 1,953 yards in 2015. The former LSU runner is big and fast with long and natural strides and is rarely tackled on first contact. Fournette will be given plenty of carries—easily over 250 as a rookie—and the goal line duties for an organization seeking to end six-consecutive, double-digit, losing seasons. Panthers quarterback Cam Newton has not suited up with a backfield mate as talented as Christian McCaffrey. A multi-purpose threat, the former Stanford star is a game breaker in the run game, aerial attack and special teams. Dynamic in the open field, McCaffrey baits tacklers into committing before excelling into a second gear. He is also better between the tackles than given credit for and employs a nasty stiff arm to push tacklers off. A natural pass catcher, McCaffrey becomes a ppr. monster immediately as a professional. 2017 Projections: 750 rushing yards, 50 receptions for 580 yards and 8 touchdowns. Many fantasy experts are extremely high on Joe Mixon and his potential as a weekly producer. Nevertheless, there are concerns that must be factored into any evaluation. Veteran runners Jeremy Hill and Giovani Bernard still sit atop the depth chart, and the offensive line lost two key components—G Kevin Zeitler and LT Andre Whitworth—during the offseason. Of course, the off-the-field challenges can not be overlooked for the young competitor. And the AFC Central hosts two (Baltimore and Pittsburgh) of the tougher run defenses in the league. Mixon will be productive; yet, expectations appear to be a little lofty in 2017. 2017 Projections: 725 rushing yards, 45 receptions for 410 yards and 7 touchdowns. Historical QB-WR duos dominate the NFL record books: Johnny Unitas-Raymond Berry, Joe Montana-Jerry Rice, Jim Kelly-Andre Reed and Peyton Manning-Marvin Harrison. Finally, the Titans Marcus Mariota, a rising fantasy performer, plays with an elite wideout to write a new chapter. Davis, the former Western Michigan product, utilizes premier physical tools (height, frame, weight, speed and hands) to make spectacular catches. The newest game breaker should harvest the most targets on the roster as a rookie. 2017 Projections: 70 receptions for 920 yards and 7 touchdowns. Check out the veteran backfield depth chart in Washington: Rob Kelley, Matt Jones, Chris Thompson and Keith Marshall. 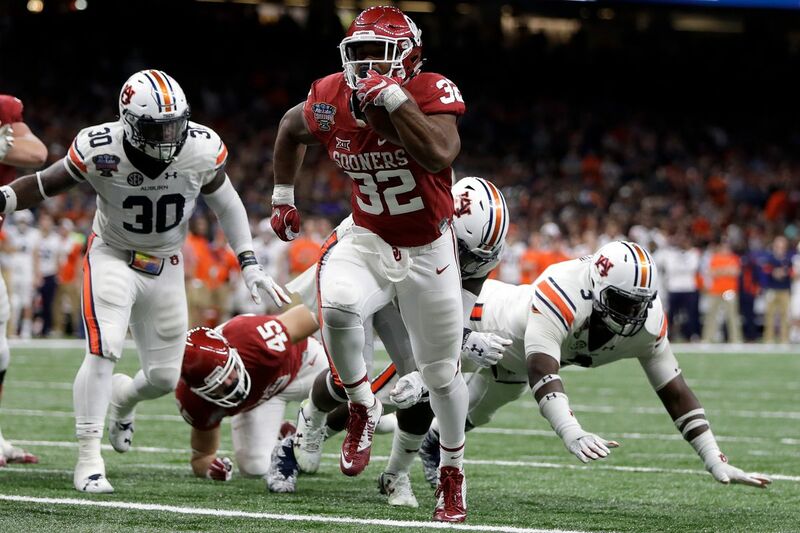 Without question, Samaje Perine is the most talented ball carrier on the roster, and the fourth-round selection will be a valuable fantasy asset this season. During the past two campaigns, the Redskins have averaged 102 rushing yards per game, 4.03 yards per carry, and the running backs scored 17 touchdowns. The former Oklahoma star easily garners the majority of touches in coach Jay Gruden’s offense, and becomes a solid second runner on fantasy squads. 2017 Projections: 900 yards rushing, 20 receptions for 150 yards and 8 touchdowns. In January, many Draftniks ranked Cook atop the running back prospects. Then, the Scouting Combine highlighted lower than expected athletic scores in the 3-cone drill and 20-yard shuttle. The former Seminole did not illustrate the athleticism that corresponded to his production or game speed. Cook fell to the second round of the Draft, and the Vikings scooped him up with the 41st selection. While the Vikings deploy a leaky offensive line, the rookie is a slippery and elusive game breaker who will find holes in the defense and accumulate yards.